Debt management is one of the programs that will automatically provide you with a plan to organize your payments. Theirs is called a debt management plan. This is the plan that will contain your proposed lower monthly contribution to the creditor. After analyzing your finances, you will come up with this amount so that you will not be too restricted and you will have enough money for your basic needs and also your savings. Once approved, the debt counselor working with you in debt management will show the plan to your creditor for approval. Once approved, you will send a single payment to your counselor who will distribute it toward the various payments as stated in your plan. While that may seem like a complete process already, there is one thing missing: you budget plan. With the presence of the debt management plan, you may be wondering why there is still a need for it. The plan that you created with the debt counselor is just one part of your budget. This only guides your debt payments. But what about the other aspects of your finances? How will you make sure that your other financial obligations are well met? It may seem like your debt management program will not need this but that is where you are wrong. In fact, all types of debt relief program will require this. You even need it long after your debts have all been paid off. 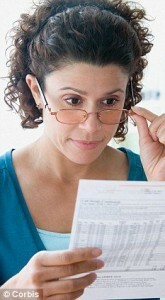 Your budget provides a general overview of your finances. It tells you how much money is coming in every month. It also tells you which payments must be prioritized – at least, based on what you decided on as you created your budget. What your budget does is help you pay attention to the activities of your money. Among other things, it helps you ensure that you will not miss out on your payments. In debt management, this is very important. Although creditors usually agree to the lower payment indicated in the debt management plan, it comes with a very strict rule. You should never miss a payment because if you do, the deal is off. You will go back to your usual payments and if you had a lower interest rate on your program, that will return to the high interest rate of your card or loan. Missing out on your payments or running out of funds for it is something that your budget can prevent. Your budget will also help develop the right habits that will keep you from incurring debt again. It will teach you how to live within your means because you know how much is really left of your income after all priority expenses are taken cared of. You can note if you can really afford to buy those designer jeans or continue drinking your latte on the way to work. These are the sacrifices that you can identify when you have your budget plan. Since your spending is under a budget, you will be compelled to make smarter choices about it so the amount you have set aside for a category will last throughout the month.